Jake "The Snake" Roberts, Koko B. Ware and the British Bulldogs are among the most memorable WWE Superstars who were also pet owners. They brought their scaled, feathered and furry friends to work on a daily basis and fans formed a bond with these animals. Now WWE is appealing to pet owners everywhere. The company has announced a new partnership with Petmate. This new tag team will roll out a variety of items including toys, beds and leashes for your four legged family members. 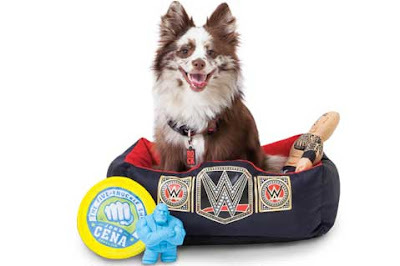 WWE Superstars are brought to life with printed canvas and rugged rubber chew toys, designed for tough tug play between you and your dog, or for two dogs to wrestle and tug together. 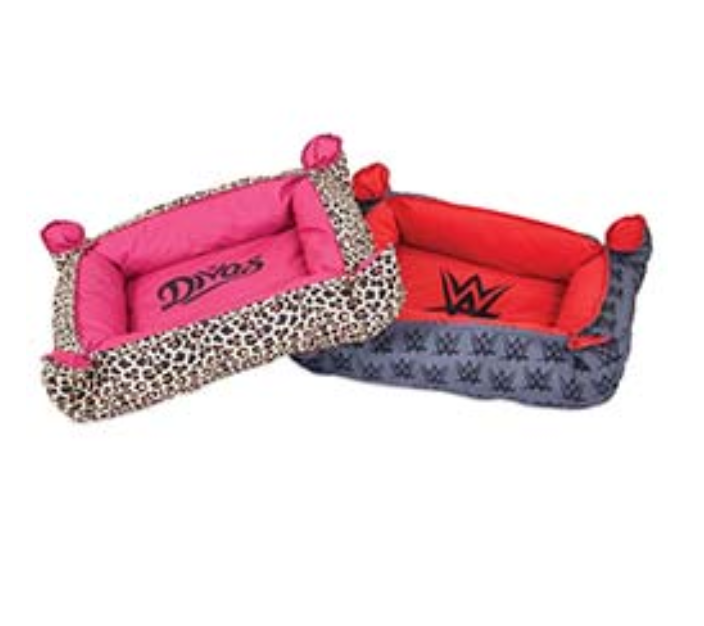 The WWE World Championship makes an appearance in the shape of a rectangular lounger for your pet to enjoy after a hard day of play. Other pillow beds and loungers feature The Rock, the iconic WWE logo and Divas leopard print. 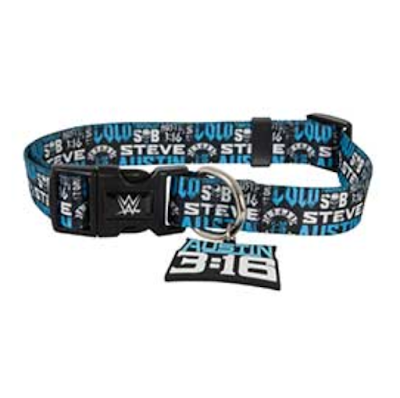 WWE collars and leashes feature custom Superstar prints showcasing WWE favorites, such as John Cena, The Rock and Stone Cold Steve Austin. These adjustable dog collars are soft and durable, and feature patterns from your favorite WWE Superstars. It's another creative way to market WWE. 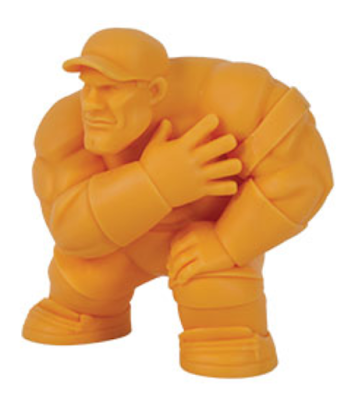 The company is probably the most family friendly it's been since the era of Hulk Hogan, Junkyard Dog and Hillbilly Jim. I can already see a current Superstar coming up with a pet gimmick in an attempt to monetize this new partnership even more.